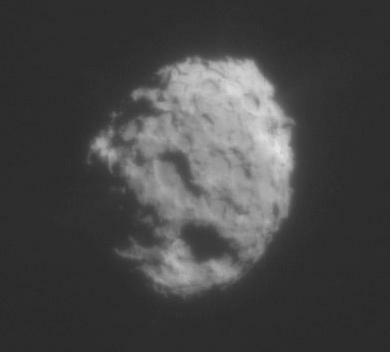 On January 2, 2004 NASA's Stardust spacecraft made a close flyby of comet Wild 2 (pronounced "Vilt-2"). Among the equipment the spacecraft carried on board was a navigation camera. 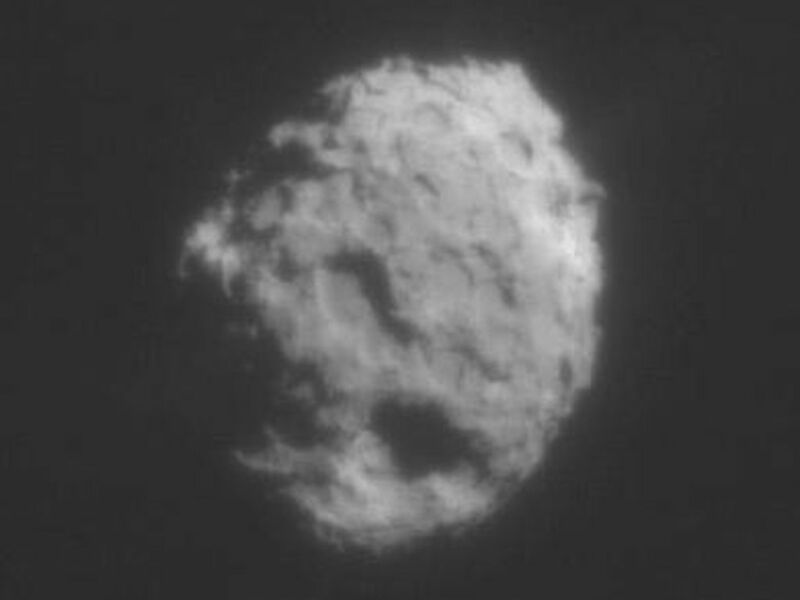 This is the 34th of the 72 images taken by Stardust's navigation camera during close encounter. The exposure time was 10 milliseconds. The two frames are actually of 1 single exposure. The frame on the left depicts the comet as the human eye would see it. The frame on the right depicts the same image but "stretched" so that the faint jets emanating from Wild 2 can be plainly seen. 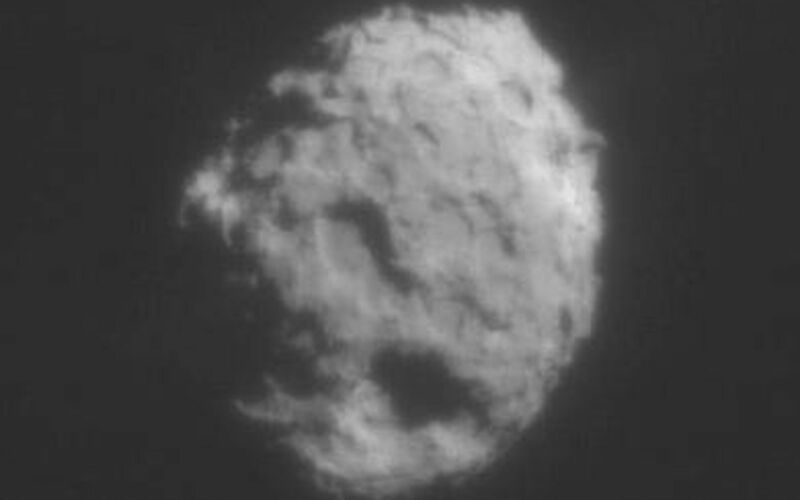 Comet Wild 2 is about five kilometers (3.1 miles) in diameter.